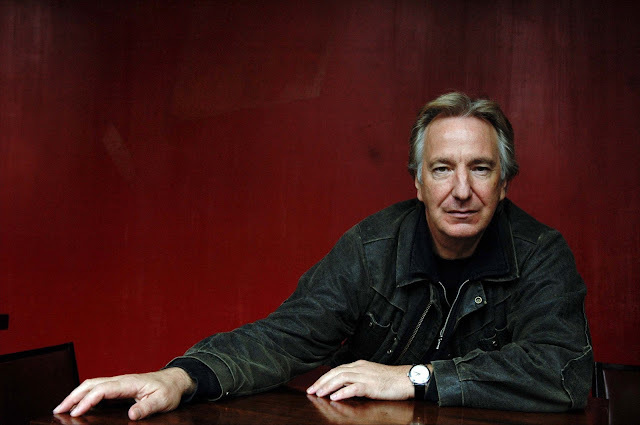 I used to see Alan Rickman a lot when I was living in Notting Hill. Tall, very elegant, with that unique expression on his face we all grew to love. He was always walking slowly, as if enjoying every step and every breath. We crossed path so often I thought we were neighbours. Unless he was stalking me. But I seriously doubt it. I left Notting Hill many years ago and moved to Beirut. I believe he left too. Just a couple of days ago from what I’ve heard. I don’t know where to. A better place, I hope. Better than Beirut anyway. I thought a lot about going back to Notting Hill. Perhaps seeing him again, walking slowly on the sidewalk. But I guess I won’t. Not in Notting Hill. Maybe someplace else, on a different sidewalk, in a different world. I’m sure he’ll still be tall, very elegant, with that unique expression on his face.